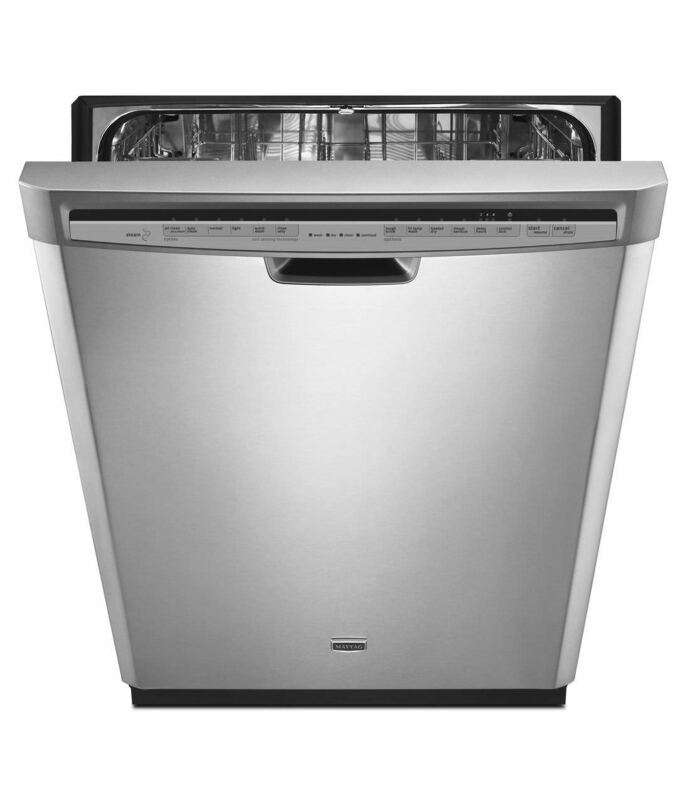 This is the summary of consumer reviews for Whirlpool - Gold Series 24" Tall Tub Built-In Dishwasher. The BoolPool rating for this product is Excellent, with 4.50 stars, and the price range is $539.10-$649.00. It's quiet and gets my dishes clean. It's quiet and gets the dishes sparkling clean. 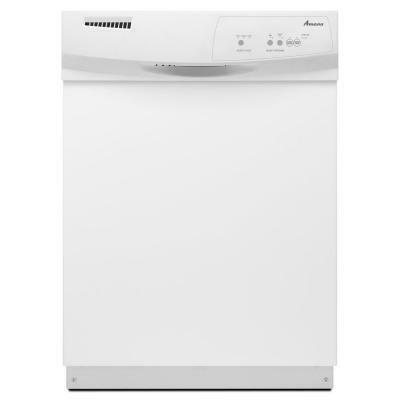 Easy to use controls (hidden when closed), the dishes are super clean, it's very quiet. It cleans well and is unbelievably quiet! It's very quiet and cleans well. This dishwasher really does get dishes clean. Good value for money, quiet, get things clean and dry. 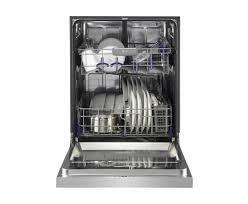 Cleans dishes as any dishwasher should!! 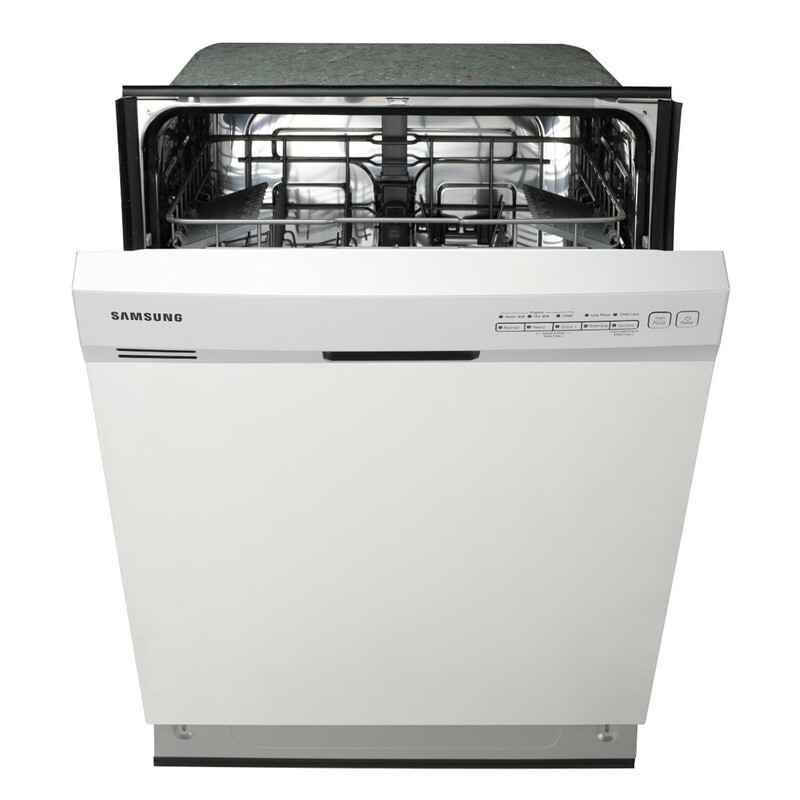 It's quiet and cleans my dishes better than the two other dishwashers we've had. Silverware container in the door could be better design...silverware still wet after cycle. Basket on door adds space. Lots of room for dishes with the silverware on the door. I turn it on and actually have to lay my ear on the door or open the door to see if it's running. During the complete cycle, I'm so amazed at how quiet it's. I also like that the silverware has a basket that hangs on the door providing extra room for dishes as my old dishwasher utilized the bottom rack. Don't like the silverware holder on the door either. When you put dishes in it, the door doesnt keep popping up either! The dishwasher isn't as quiet as other reviews said (at least not mine), but it's still fairly quiet. This dishwasher is so quiet I've to put my ear to the door to make sure it's turned on. Nice looking unit that runs very quiet. It's the features we were looking for and is really sharp looking and quiet too. This product not only looks fantastic it works as good or even better than it looks. The stainless steel looks good too. Love the washing options, looks great, cleans well, great buy for the price. 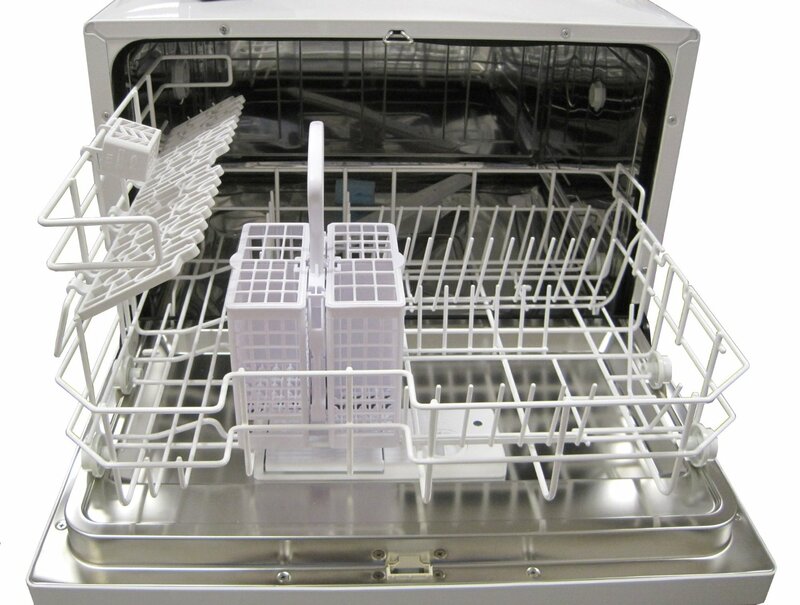 The dishwasher looks great and works great. Pictures on internet looked like stainless interior. Less noise and clean fairly thoroughly - looks great with handle protruding covering all buttons on top. Oh and the handle looks a bit clunky versus higher end designs but again at this price? 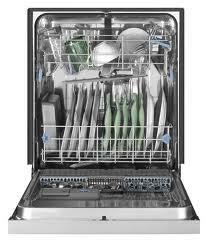 I'd recommend this dishwasher to anyone in the market looking for one. Dishes are dry after cycles, very clean!. My dishes are clean and spotless after being washed. We love the space for loading dishes. I always wash on 'Heavy' using the hot water option & sanitizing cycle, with heated dry. 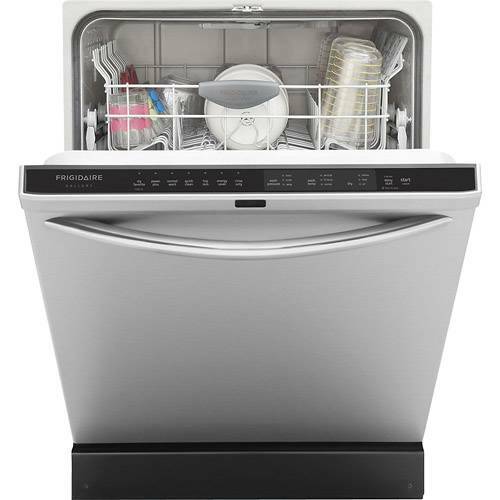 The dishwasher was fairly easy to install, and is extremely quiet and washes the dishes very well. Cons: silverware rack is low but you can remove the silverware rack and load/unload on your kitchen counter. Both the upper and lower racks are well placed to allow for taller items, and hold a lot of dishes. Dishes & other items dry fine, and I'd bet that if you place the silverware holder in the lower rack, which you can do, that the silverware would, as well. You can fit a bunch of dishes inside the racks. 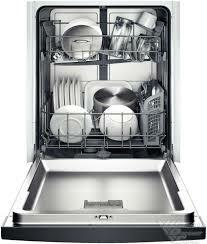 Dishes need to be rinsed prior so Average Wash. Use of space seems less accommodating than our previous models. Love the controls on top with little kids around! The utensil rack is on the door which allows for more dish storage on the racks. Repairman found looses screws in the door, and it worked. It took a little while to figure out the best approach for placing glasses, cups etc in the rack on the top, but I found a need way to make it work. Quit working completely one week after purchase!. 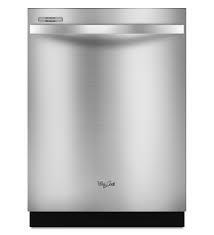 I'm pleased with Whirlpool and will look to purchase replacement appliances in the future. I thought that it wouldn't be a problem but it's a bit inconvenient to dry the glasses each time. happy with quality of dishwasher and stove I purchased in group buy.